Ford recently announced the rather impressive EPA-estimated fuel-economy figures for its upcoming 2018 F-150 diesel. However, is it possible that the Power Stroke engine's price tag might outweigh the benefits? The entire world should be impressed by the fact that a 5,000-pound, 20-foot-long vehicle can deliver 30 mpg in the city and 22 mpg on the highway. After all, fuel economy is important to almost every driver on the road, but especially dedicated truck owners who often tow heavy loads for long periods of time. 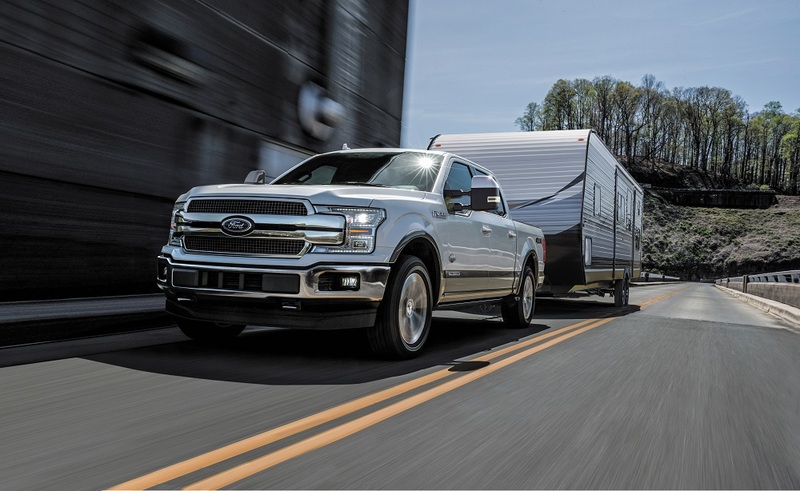 With a towing capacity of 11,400 pounds when properly equipped, Ford's diesel-powered F-150 seems to deliver on both important fronts, however, you must first shell out an additional $4,000 for the 3.0-liter Power Stroke engine. The base engine in the 2018 Ford F-150 is a 3.3-liter gasoline V-6 that produces 290 horsepower and 265 pound-feet of torque. 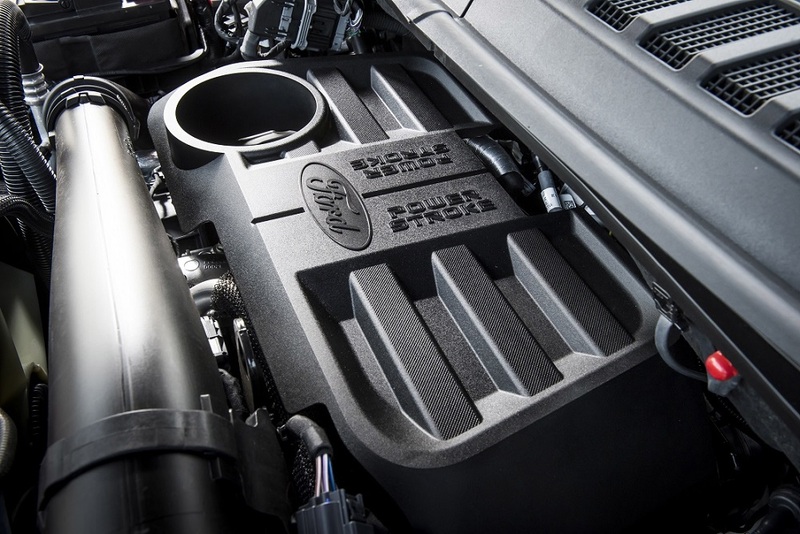 Owners who desire to upgrade to the 2.7-liter EcoBoost V-6 with 325 horsepower and 400 pound-feet of torque must pay an additional $995 dollars, but folks wanting to join the Power Stroke club must first step up to the high-end Lariat trim (diesel isn't available in lower-end trims), and then pay an additional $4,000 to upgrade from the 2.7- to the 3.0-liter diesel. "On the F-150 Lariat, with its standard 2.7-liter EcoBoost engine, the walk to the 3.0-liter Power Stroke is $4,000, or $2,400 more than the 3.5-liter EcoBoost option," a Ford spokesperson told The Drive via email. "On the F-150 King Ranch and Platinum, with the standard 5.0-liter V-8 engine, the walk to the 3.0-liter Power Stroke is $3,000, or $2,400 more than the 3.5-liter EcoBoost option." All in all, customers wanting to give their F-150s the 250 horsepower and 440 pound-feet of torque the 3.0-liter diesel engine produces must pay a huge chunk of cash for the engine and for the trim upgrade. And let's not forget that the F-150's higher trims are only offered in SuperCrew configuration, which features four full-sized doors (except Lariat which is offered in SuperCab), ruling out the chance for a more work-inspired single cab. That means that as of right now, it looks like the diesel engine will be more of a luxury accessory or "statement piece" applied to pricey trucks, rather than a heavy-duty work tool for serious truck owners. Of course, this could change sometime between now and when the trucks actually begin rolling off the assembly line. Will the fact that Ford has alienated some of its customers by charging a similar price, or more, for a half-ton F-150 diesel than a three-quarter-ton Ford Super Duty affect future sales? Probably not, but only time will tell. Tell us what you think in the comments section. The half-ton pickup truck boasts best-in-class fuel economy as well as towing and payload capacity. Ford has sold 418,000 Mustangs in 146 countries around the world since exports began in 2015.